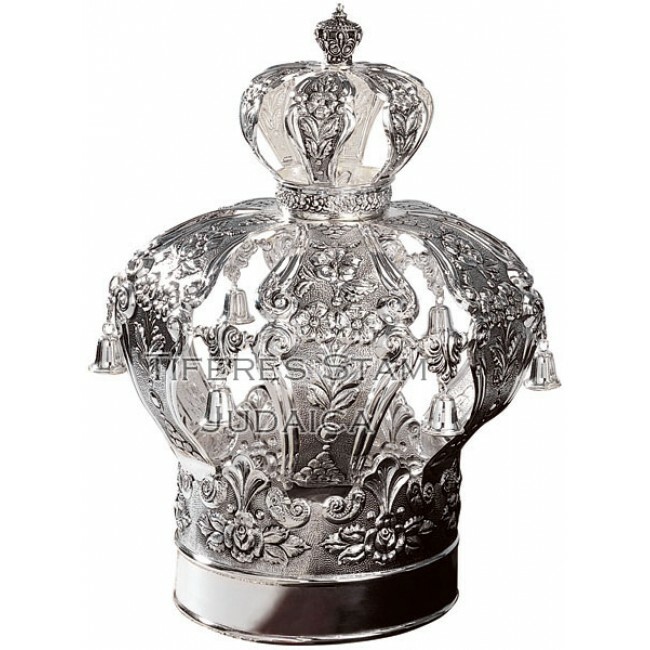 Sterling silver Sefer Torah crown. Adorn your Torah Scroll with the splendor it so truly deserves. This Torah crown is made of the finest quality sterling silver. Desired inscriptions can be engraved in Hebrew and/or English. Adorn your Torah Scroll with the splendor it so truly deserves. Desired inscriptions can be engraved..